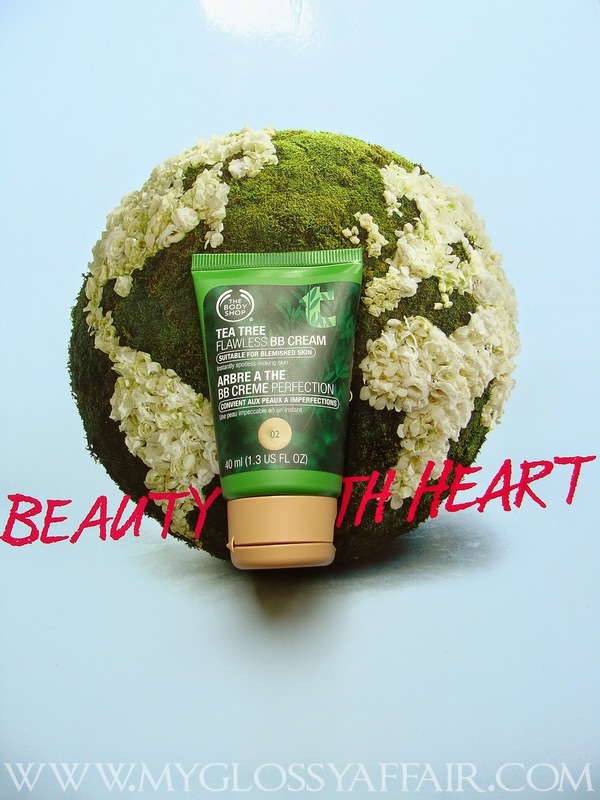 So, our much loved skin care brand – The Body Shop has come up with an amazing product – a BB Cream, that too containing the goodness of Tea Tree to fight off all those zits and acne, but in a good way, while making you look flawless. Could anything better happen!! No!! 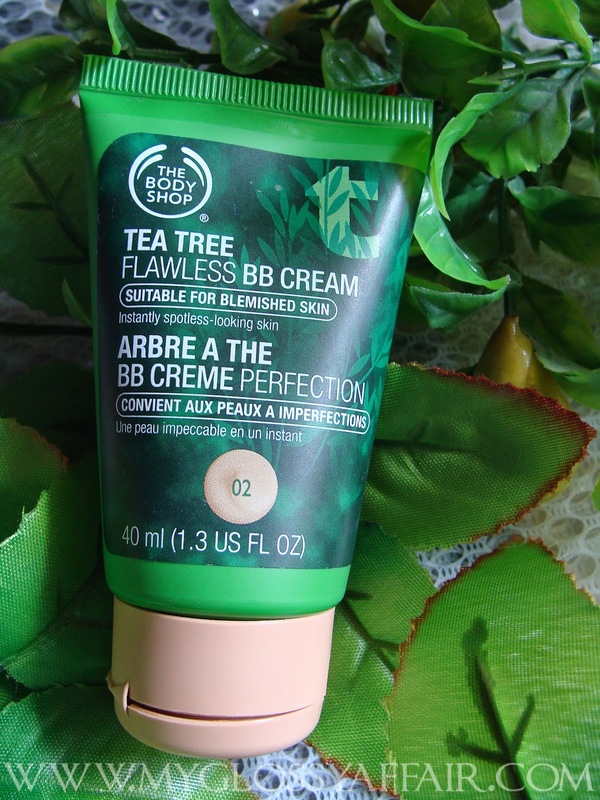 Then read on to know, whether this BB Cream from TBS excels or fails for me. – 3 shades blend seamlessly into all skin tones for natural-looking coverage. It comes in a green plastic tube with a flip open cap that is according to the colour of BB cream. Quite helpful J. The tube is nice, cute, small and travel friendly. Quite runny. You need to be careful while opening that flip cap else you are going to spill it here and there like me ;). Just be careful. Since it is like a lotion, is easy to spread and you don’t need any sponge or brush for it. Applying it simply with fingers works the best. This BB cream doesn’t provide much coverage. If you want to use this daily, just take out your concealer and powder to get the perfect finish. Those with clear skin can go for it all alone. It comes in three shades – 01, 02 and 03. 01 for fair but a bit more pale, 02 a bit dark but good for fair toned girls and 03 darkest among three. This BB cream spreads and blends like magic. I don’t have any problem with tea tree fragrance so it works for me on that note too. I don’t have dark circles or any major blemishes. In fact, I don’t use a concealer :P. So, its low coverage doesn’t bother me much for daily use. In fact, after using my MAC Select Pressed Powder, the finish becomes perfect. It stays on my face for max 2-3 hours but my oil glands turn active only ½ an hour after the application!! Though it doesn’t cause any breakouts or so but I like my products to be a little on matte finish side and oil controlling. 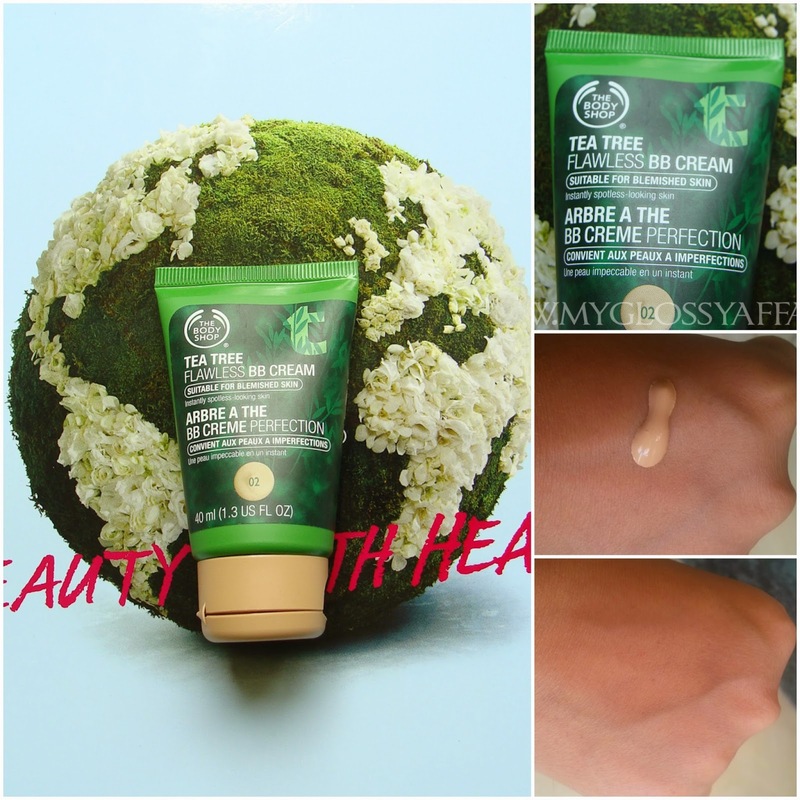 This BB cream is good and I know it will work for me in winters superbly. Since it doesn’t cause any breakouts, it is good for me. If we oilies try something in these humid summer months, most of the products start failing and they just get washed away due to sweat!! 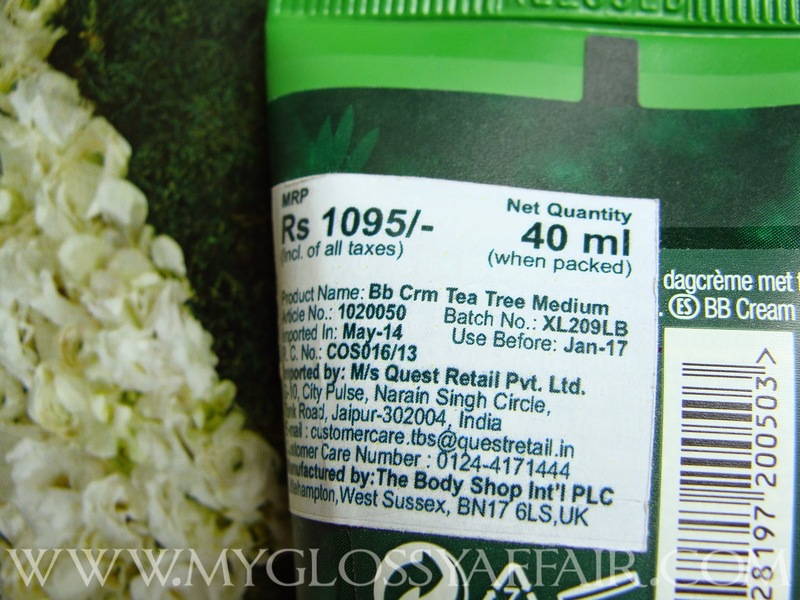 Contains the goodness of tea tree. Good enough for normal to dry skin. Gives a sheer coverage, good enough for day time. Good sturdy and travel friendly packaging. Despite Tea Tree being main ingredient, it doesn’t work too well for my oily skin. It gives a dewy finish which turns almost oily in ½ to 1 hour. I would surely recommend it to those with normal/ dry skin. For oily skin beauties, I think this bb cream is a bit oily, but it causes no breakouts which is a plus. You can give it a try in winter months and lesser humid days!! Oops.. I've got oily skin and so ll give this a skip!! Thanks for the honest review Charu..
As my skin ins't oily this may work for me. It sounds good!! But not for me as I have combi akin. Nice review dear. 🙂 I missed the event. Great review to bad it does not stay long. Have a beautiful Tuesday dear! Sounds pretty good! I like the cleanser from this range, so I might have to try this BB cream. I agree its a great product but because of the hot weather over here, sun defence is a must. That is my issue with BB cream, they don't offer much coverage and they make my oil gland active. I do love that some have SPF so that why I use it from time to time, but from reading your review, I didn't see this brand having SPF? Does it have it? Lovely review by the way. I have dry skin so this might work out really well for me however, shame about no SPF so I am not sure if I will be picking this up. BB Creams have limited shades, which at times can be difficult in finding your right shade. Nice review Charu. I have read a lot of reviews about this product and I'd like to try it! Thanks for the review.. but I aint a fan of this since it gives oily skin later on..
thanks for the review! my friend has been trying this product recently and has been telling me to try it! I'm such a big fan of BB cream, I totally have to sample this one now! Ive tried other products from this line and it never really helped with acne. I really wanted to try this when I saw it in the store but I just remain sceptical haha. maybe tea tree just isnt good for my skin. but you give a great review !